We are a leading demolition company in the state of New Jersey for over 70 years. Mikula Contracting offers commercial pool removal as one of it many demolition services. If you are in the hotel, apartment, or senior-living community business and need to fill a pool we are the family-run construction company for you to call. Not only will we take care of all of your town’s permits and inspections, but we will give you a free estimate and step by step timeline of your swimming pool demolition. 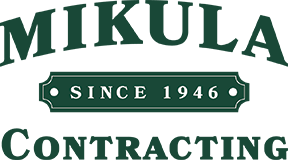 Mikula Contracting, Inc. maintains NJ licensure and are also OSHA compliant. Our reliable and professional staff will take care of your landscape. We ensure not only your property but the surrounding area is satisfactory. We offer commercial pool removal services in Essex, Hudson, Bergen, Passaic, Morris and also Union Counties. Get a Fast Quote for residential drainage services in Northern NJ throughout Essex, Hudson, Bergen, Passaic, Morris and Union Counties. Are you tired of looking at your ugly pool and considering pool demolition?